Kerstin Florian Correcting Serum C+ Infusion Review: Ingredients, Side Effects, Detailed Review And More. What Is Kerstin Florian C Infusion Serum? The Kerstin Florian Correcting Serum C+ Infusion is manufactured by the company named after its founder, Swedish beauty expert Kerstin Florian. Kerstin grew up in the scenic landscape of Sweden and has always been drawn to the energy of nature and its innate connection to health and wellness. She acquired and developed her gift in blending products and ingredients from nature into innovative products that provide unparalleled results, leading to her namesake line of products. All of her principles and protocols revolve around the four cornerstones of her holistic approach to skin care: care for the face and body, regular exercise, proper nutrition, and peace of mind. Kerstin Florian C Infusion Serum – Does It Really Work? The Kerstin Florian C+ Infusion Serum is a potent form of vitamin C that works deep in the skin to boost its tone, firmness, and brightness while also reducing aging signs like fine lines and wrinkles. In this Kerstin Florian C+ Infusion Serum review, you will have a general perspective about this product, its benefits, and drawbacks to help you decide whether or not this serum is suitable for your needs. The end product is a wide range of skin care programs designed to deliver outstanding results through memorable sensory experiences. Today, Kerstin Florian thrives in partnership with the finest and most natural luxury resorts and spas all around the globe. It provides professional-grade cosmeceutical-based spa products inspired by European treatments that utilize natural ingredients like thermal mineral water, essential oils, herbal extracts, algae, and mud. Aside from improving the well-being of a person, these products provide a way of de-stressing and pampering. What Are The Ingredients In Kerstin Florian C Infusion Serum? Vitamin C+ Complex: This is a powerful form of Vitamin C that is 50 times more active and potent. 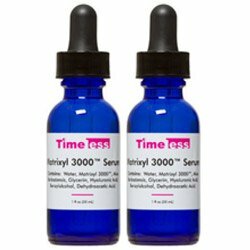 Its function is to decrease melanin synthesis by up to 80% and boost collagen production by up to 50%. 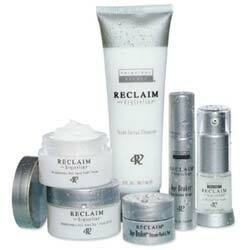 This enhances the skin matrix and protects it from oxidative damage. However it causes Redness and warm feeling of the skin, or flushing. Methylsilanol Hydroxyproline Aspartate: This amino acid helps in the improvement of skin elasticity, regeneration of connective tissues, reduction of expression lines, and improving the tone of the skin. Squalene: This ingredient is an oil antioxidant that is derived from natural means and sources. It has immune-stimulating effects on the skin. Dimethicone: This is a substance that forms a protective layer on the skin to keep moisture in, leaving the skin hydrated through longer periods of time. However, this coating property can also trap dirt, sebum and bacteria, resulting in skin irritation and clogged pores. The Manufacturer claims that, after cleansing and applying toner on the skin, apply the Kerstin Florian Correcting Serum C+ Infusion on your face and neck, avoiding the eye area. For best results, apply daily and follow with a moisturizer as well as some sunscreen with at least an SPF of 30. Helps heal and protect from free radical damage. According to customer reviews, the dispenser performance is very poor and ineffective that it usually fails halfway through the product. This product lacks a broad variety of protective antioxidants to complement its high Vitamin C content. The formula contains potentially irritating ingredients such as silicones and Methylisothiazolinone, both of which can result to Skin improvements are variable, based on user reviews. Does Kerstin Florian C Infusion Serum Have Any Side-Effects? 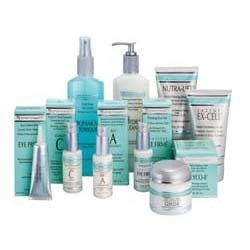 There are no Kerstin Florian C+ Infusion Serum side effects have been reported or clinically proven as of yet. 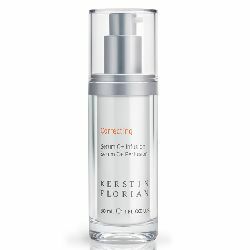 The Kerstin Florian C+ Infusion Serum appears to be a powerful and effective serum from a highly reputable brand. However, this does not guarantee that its effects will be maximized for all users. The faulty dispenser, a minor flaw that should actually be easily taken care of, is not very pleasant either.